The Electroneurodiagnostic Technologist Program specializes in non-invasive, technical procedures which assess the electrical patterns of the brain in order to determine abnormalities indicative of central nervous system disorders. The Electroneurodiagnostic Technologist (END) is a multi-skilled allied health professional who performs neurologic diagnostic testing procedures. The END Technologist works under the supervision of a physician who is responsible for interpretation and clinical correlation of the results. The physician is generally not present during the diagnostic testing procedure; therefore, the technologist must be able to analyze data during the recording, ensuring the information obtained is valid and interpretable. The minimum expectations of the ENDT program are to prepare competent entry-level neurodiagnostic technologists in the cognitive (knowledge), psychomotor (skills), and affective (behavior) learning domains. Disorders of the central nervous system that cause abnormal EEGs include various types of seizures, brain tumors, neurologic disorders and congenital abnormalities. These conditions are presented with emphasis on their effect on the EEG pattern and the patient’s health and well-being. Anatomy, physiology and medical terminology with special emphasis on neuroanatomy, neurophysiology, & pathology provide students with a strong foundation in neurological functions. In addition pharmacology, medical law, and Basic Life Support (CPR) are presented. 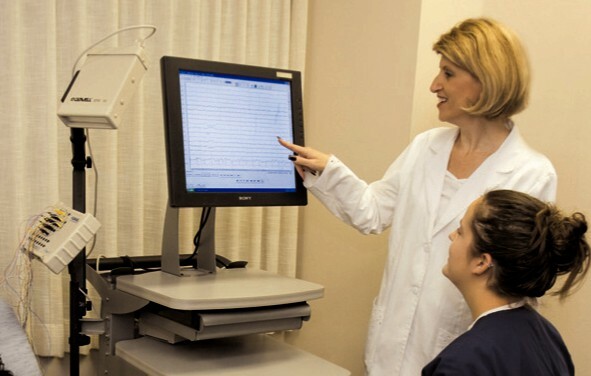 A working knowledge of the principles behind the EEG studies enables students to demonstrate an understanding of interrelated procedures and concepts. Program emphasis is placed on fundamentals of EEG, appropriate electrode placement using the International 10-20 System of head measurement, machine operation and instrumentation, EEG pattern recognition and morphology. Instruction is also presented in Evoked Potential testing with emphasis on auditory, visual, and somatosensory modalities. Introduction to other advanced neurodiagnostic procedures including Electromyogram (EMG), Nerve Conduction Velocity (NCV), Polysomnography (PSG), Long Term Monitoring (LTM), and Intraoperative Monitoring (IOM) are also offered. The clinical/externship rotation is an integral part of the training program. 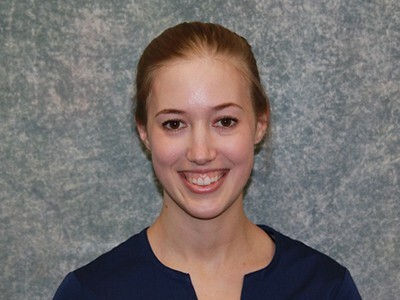 Eligible students are assigned to school-approved clinical site by the Program Director and will maintain this rotation until all required hours have been successfully completed within the allotted time frame. Due to the technical nature of this program, students must have prior allied health training, recent clinical work experience and college credits in medical terminology , math and science. The END Technologist is employed in hospital neurodiagnostic departments, out-patient clinics, physician offices or research facilities. Studies may be performed in a laboratory, emergency room, operating room, intensive care unit, special monitoring units or at the patient’s bedside. Responsible career entry positions provide opportunities for advancement to competent, credentialed professionals. In accordance with CAAHEP, CoA-NDT Standards, schools are required to publish outcome results for the Electroneurodiagnostic Technologist Program. This is a 3 year average of outcomes for positive placement, retention, and the national credentialing pass rate for 2016, 2015, and 2014. Published results are consistent with our 2018 CoA-NDT Annual Report. 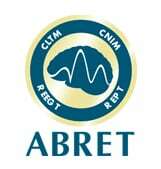 Average Rate of Graduates who successfully pass the REEGT national credentialing through ABRET: 92.86%. As a graduate of a program accredited by the Commission on Accreditation of Allied Health Education Programs (CAAHEP), upon recommendation of the Committee on Accreditation for Education in Neurodiagnostic Technology (CoA-NDT), you will be eligible to take the national examination through the American Board of Registration of Electroencephalographic and Evoked Potential Technologists (ABRET). Eligibility in the American Society of Electroneurodiagnostic Technologists (ASET) and the Michigan Society of Electroneurodiagnostic Technologists (MSET) will be open to you as a student and a graduate.